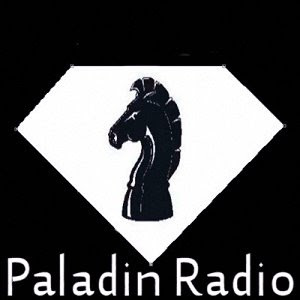 Paladin Internet radio blog: Defeat the planet-killing trade deal -- amazing response! Defeat the planet-killing trade deal -- amazing response! Amazing response -- we've upped our goal to really kill this trade deal -- here's our chance to do it! Right now, the tar sands, a toxic oil reserve almost the size of Saudi Arabia's but over 3 times as dangerous for climate change, sits landlocked in Northern Canada. People power has twice blocked new pipelines into this poison, but now we have a bigger challenge. A new trade deal, negotiated in secret with China, could allow China's companies to take over the tar sands and sue the Canadian government if it hampers their exploitation with environmental or health laws. Canada's right-wing Prime Minister is an oil-man with a history of climate-denial, and he's using this tactic to bypass democracy, with potentially devastating consequences for the planet. Tar sands oil would harm all of us: The emissions from this dirty oil are up to 35% greater than regular crude oil, the process for getting it out of the ground alone emits three times the pollution, and the production of one gallon of oil poisons up to 35 gallons of fresh water. Not to mention that the exposure of another huge oil reserve would skyrocket the destruction of our planet. That's why experts and campaigners all over joined the fight to stop pipelines from being built in the US and Canada that would unlock this toxic sludge from the ground. Now those hard-fought victories could be wiped out. We've taken on the Canadian government before, and won -- striking a blow against a Fox News-style television network and beating back attempts to stop Canadian Avaaz members from campaigning during federal elections. This is our chance to win a battle for the entire world's survival against a trade deal that threatens our water, air and land.